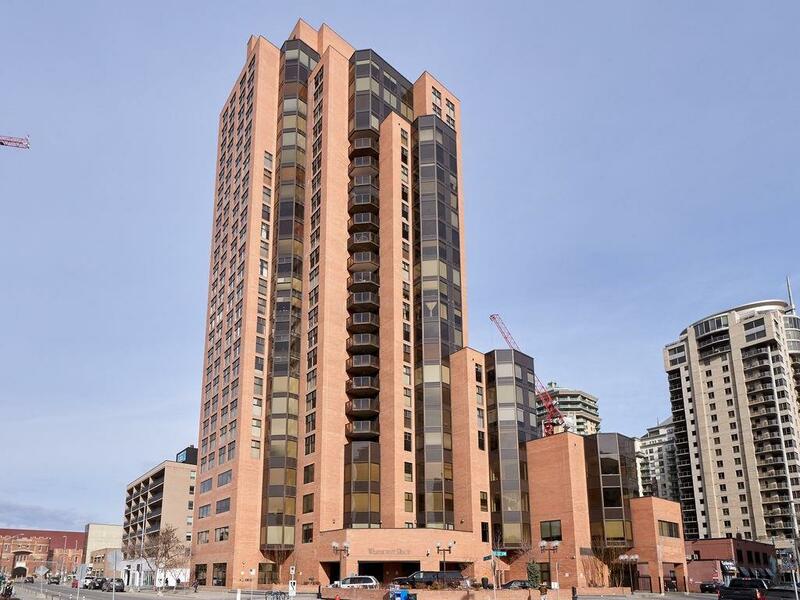 Large executive condo unit in Westmount Place SW with stunning river & mountain views! 2 bedrooms and two large 4 pc bathrooms! Separate, welcoming foyer. In suite laundry! 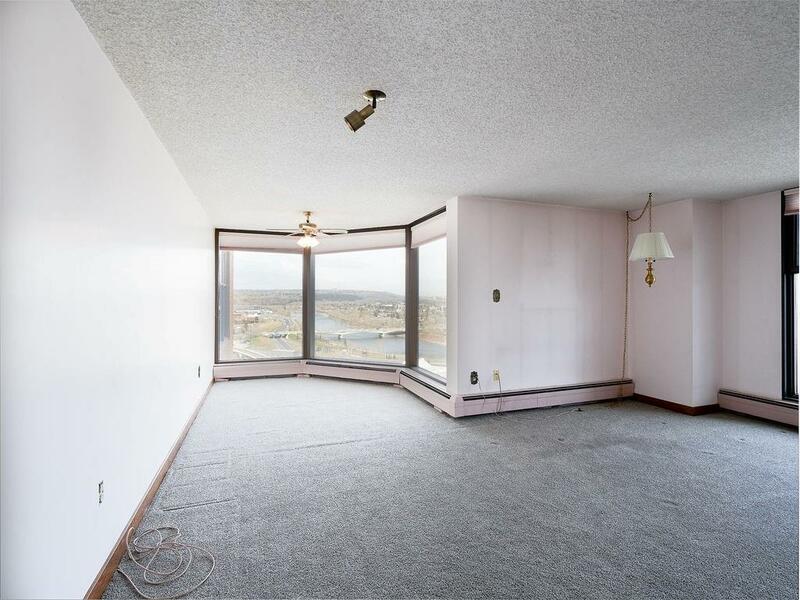 Spacious living room and dining area opens up to balcony! 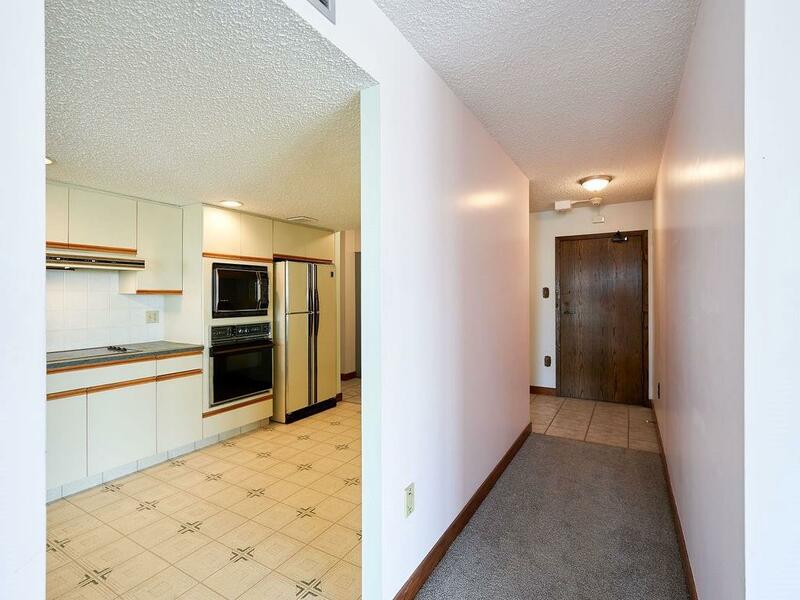 Large kitchen with great potential! The two bedrooms are a great size. Master features double closets & a 4 pc ensuite. The 2nd bedrooms has access to the oversized balcony! Many amenities in the building. Condo Fee includes Club Membership in the complex. 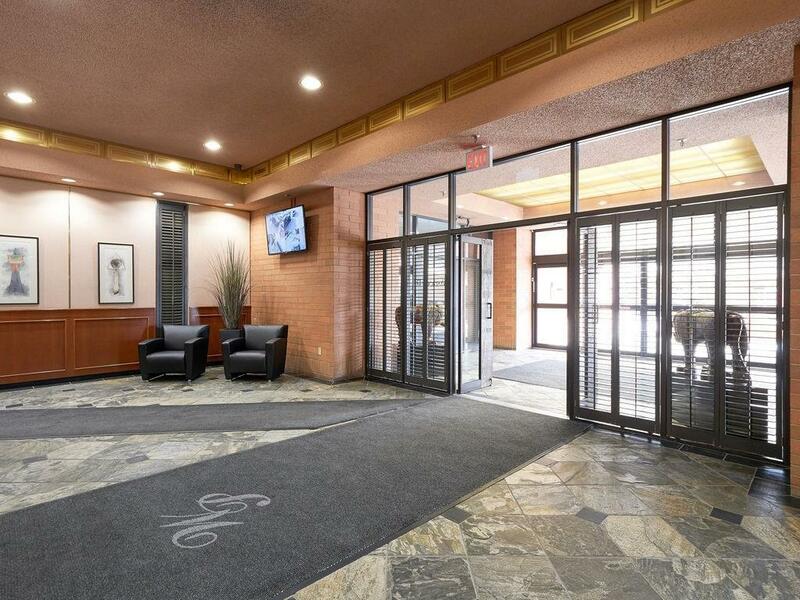 Excellent recreational amenities including racket ball and squash courts, recently updated swimming pool, jacuzzi, updated exercise room are conveniently located on the 3rd and 4th floors . 24 hours security in the lobby. Fantastic location with the LRT just around the corner. Exceptional value! Downtown living at it's best!